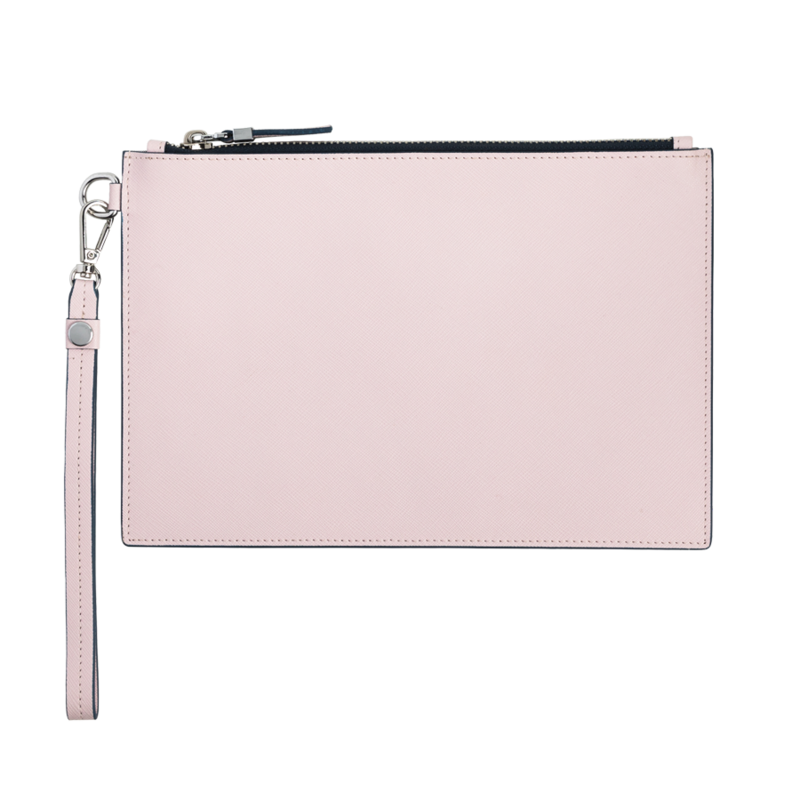 Minimal and chic, the Slim Clutch is designed for your essentials. 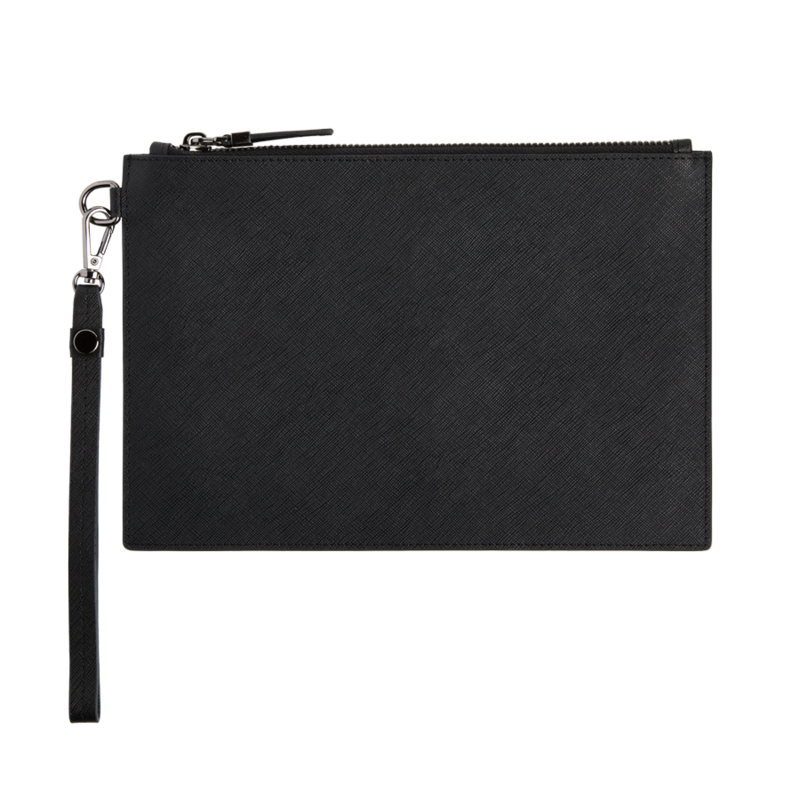 Made with Soft Hair On Leather featuring black hardware and black chambray fabric lining. 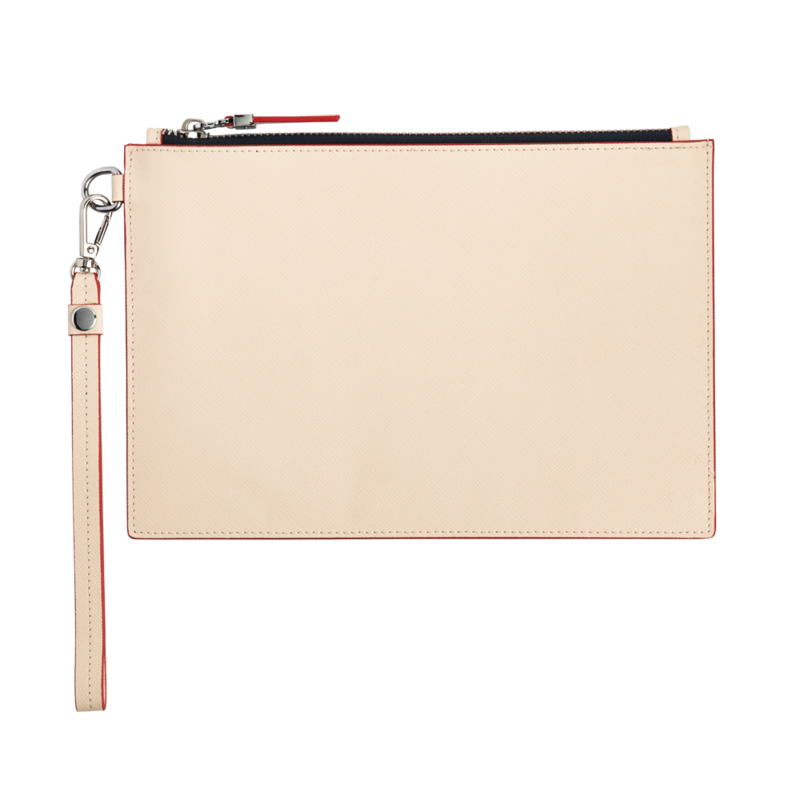 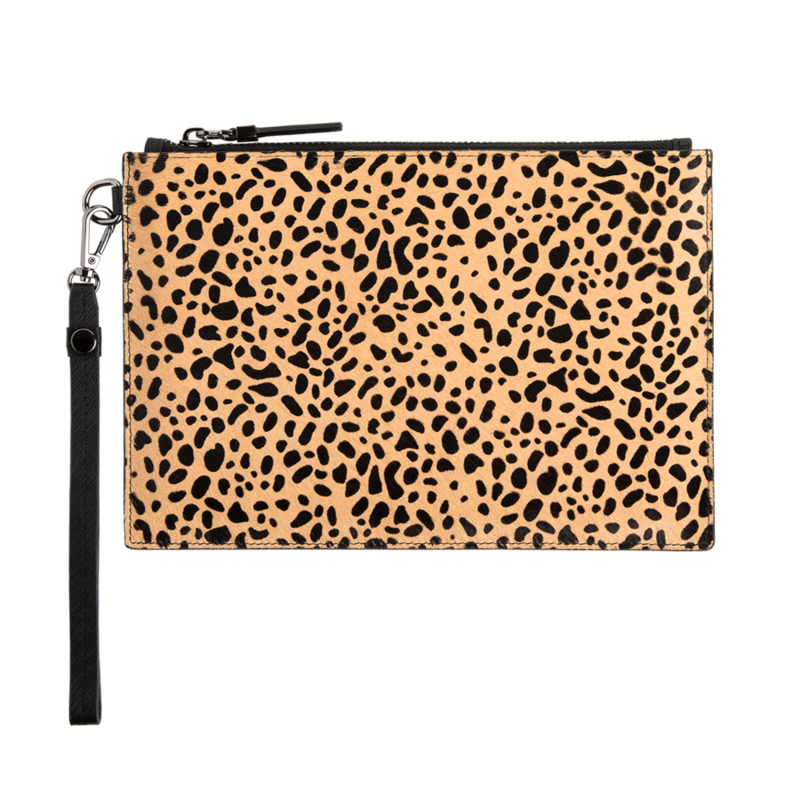 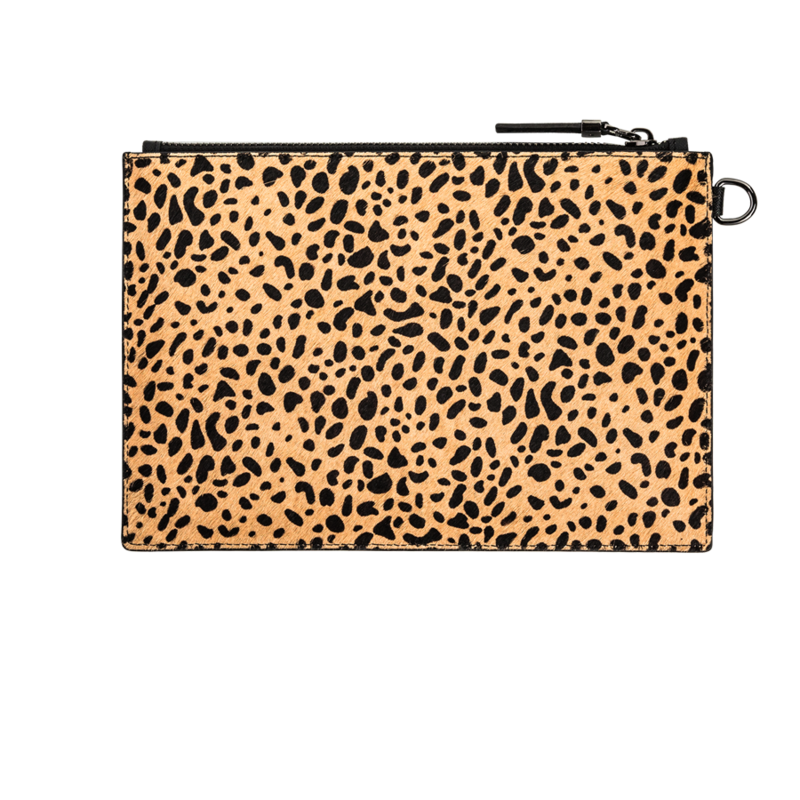 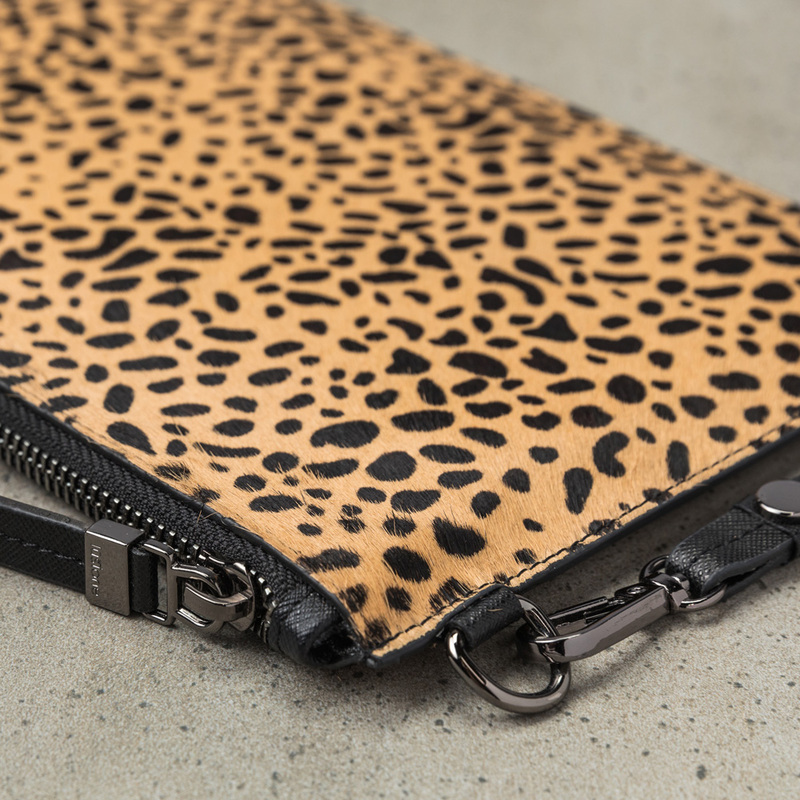 This clutch comes with a black leather detachable wrist strap.